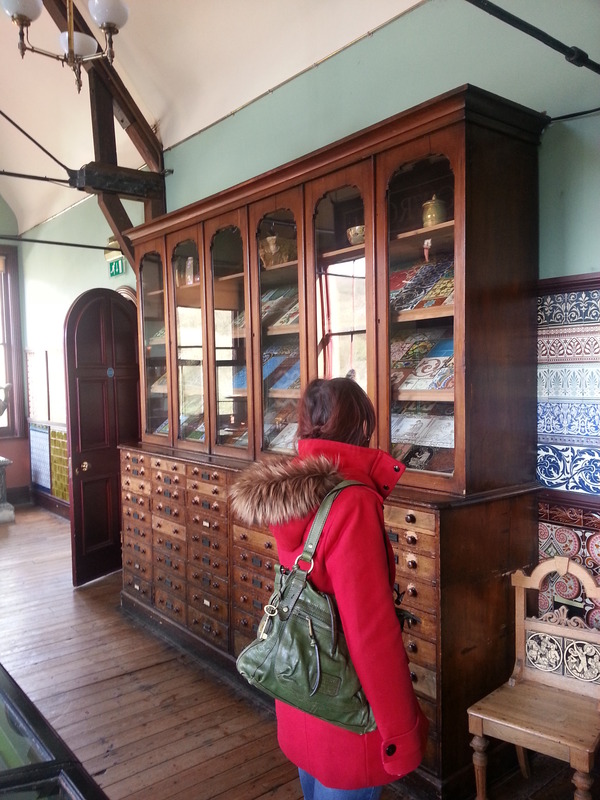 Our day at Ironbridge Gorge continued with a stop at the Jackfield Tile Museum. 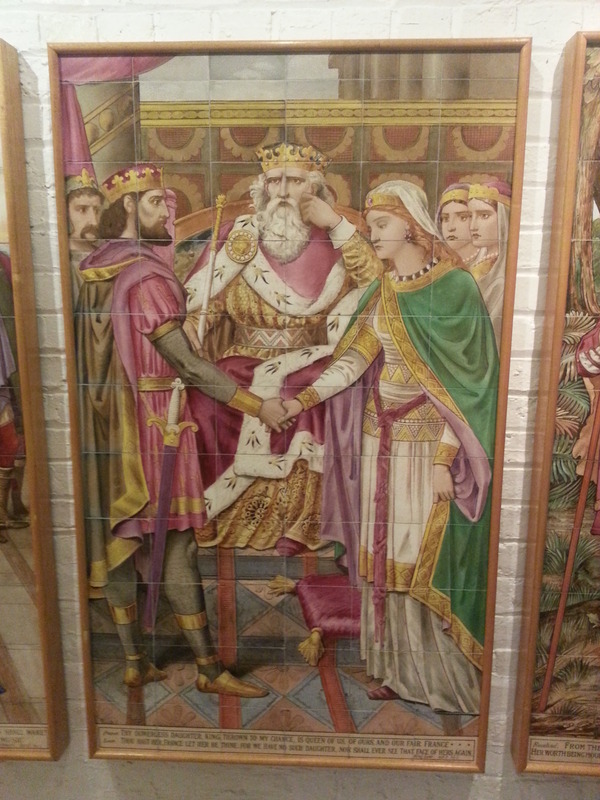 I chose the Tile Museum out of the lengthy list of remaining attractions primarily because of the tourist literature. In case you couldn’t tell by now, I am a great fan of brochures (and make a point to collect them from every rest stop, as I’ve discovered some fantastic places this way), and the one for the Jackfield Tile Museum promised that we could “see, touch, and even walk upon magnificent British tiles!” How could I possibly resist the promise of a multi-sensory experience of that calibre? The museum carried on upstairs, which is where things really got promising, with the recreation of the 1920s era tile offices, that you could peer in on, and a magnificent original tiled bathroom (which I’m fairly certain is just intended for viewing, and not actual use). 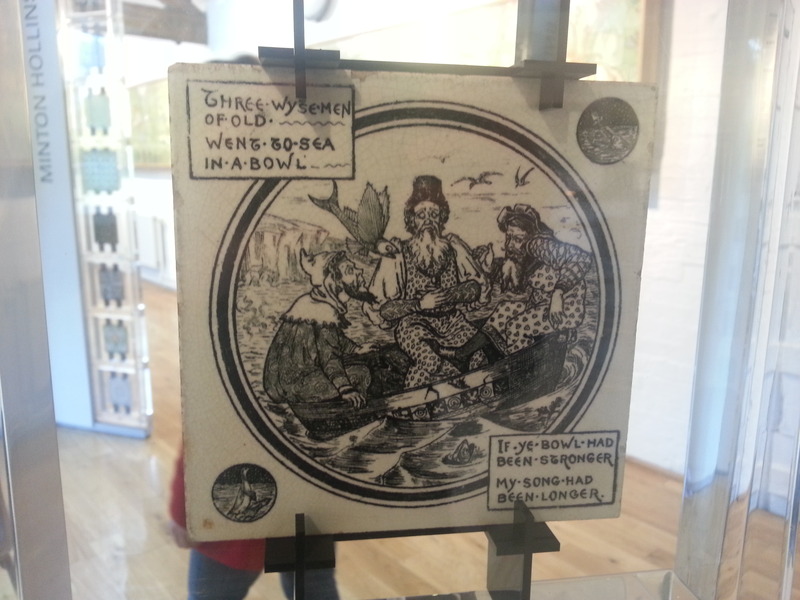 They also featured a wide range of tiles that had been hand-produced in their factory, and had helpful captions about the various 19th century artistic movements, from Gothic Revival to aestheticism. I was even able to date the tiles in my fireplace at home due to their detailed descriptions (1880s-1890s, probably Moorish Revival, common in “middle class homes”, evidently). The next section focused on larger pieces made with tiles, including a recreation of Covent Garden station, and some marvellous Shakespearian tiles. 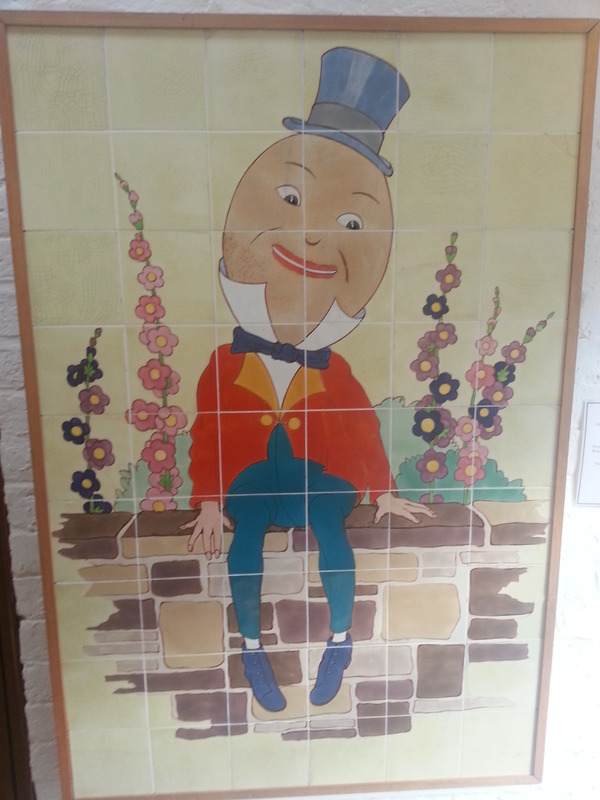 They had quite a few tiles that had been salvaged from a children’s ward of a hospital featuring characters from fairy tales, and even more recreations, like a pub, and 1930s parlour. The final portion had smaller samples of tiles, and contained information on the various techniques used to make them, with accompanying video. 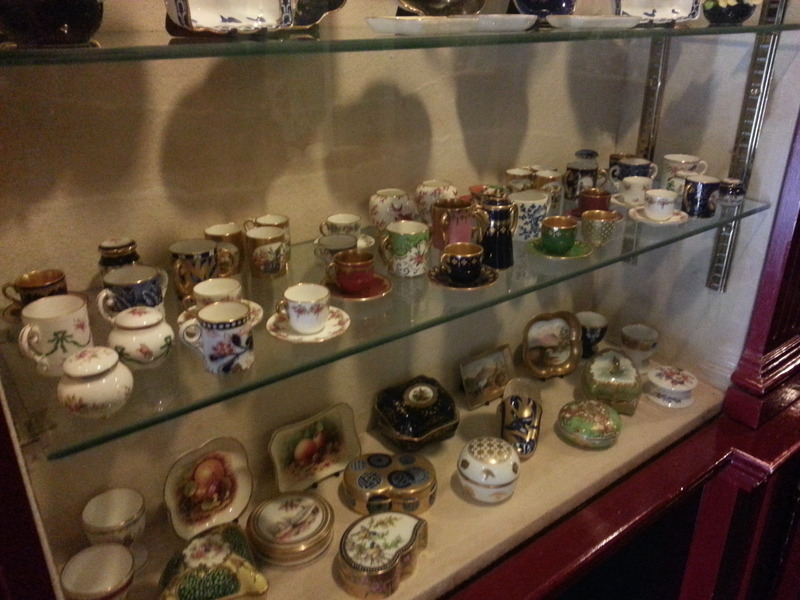 Our final stop was the Coalport China Museum, which looks remarkably similar on the exterior to the Tile Museum, as they’re both ringed with kilns. We didn’t spend much time here, since it was the end of the day, and everything was closing, so I didn’t get to see the entirety of the collections. Based on what I saw, though, I’d definitely make a return trip if we come back to Ironbridge Gorge. As you would expect, the museum was full of galleries devoted to intricate pieces of china, and some larger urns and things. I had a miniature tea set when I was little, which I have fond memories of drinking iced tea/lemonade (Snapple hadn’t yet informed us that was called an Arnold Palmer in those days) from, so I naturally had to coo over all the wee little teacups. My boyfriend kind of rushed through, as his delight in dainty cute things is significantly less than mine. Upon leaving the rather twee galleries, we were left sort of trapped inside an outside area, with various china-related things you could wander around in, including kilns, a shop, and more galleries. I spotted a sign reading “Social History Gallery,” which called to me, so I headed in, and was rewarded with a few rooms about the working conditions inside the china factories, including descriptions of the various horrible diseases you can get from the materials used in china manufacturing, written on coffins (macabre, but again, totally up my alley). I scarcely had time to glance at everything, as we were so pressed for time, but it looked like good stuff. 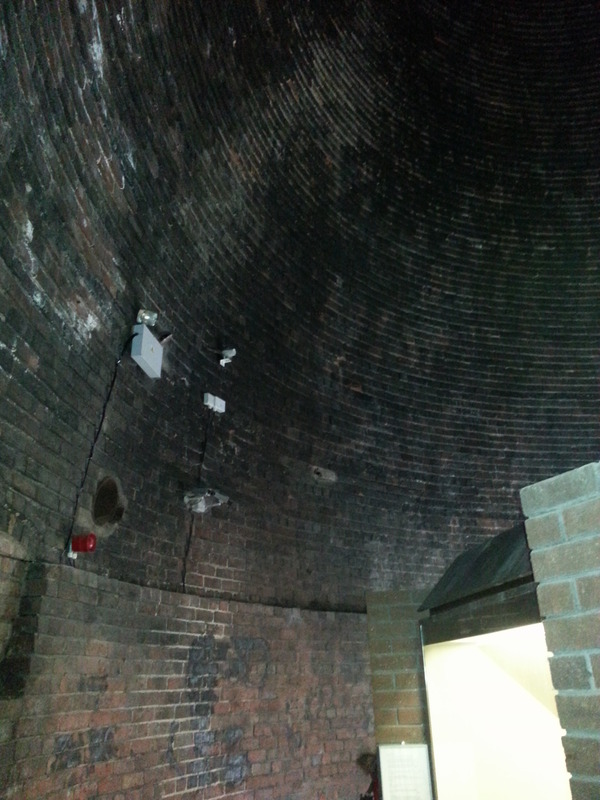 We returned to the central outside area, and had just enough time to pop our heads into a giant disused kiln, accidentally activating some unexpected sound effects, which made us both jump, and to eventually find our way out via the gift shop, which obviously sells a range of china products. I would have loved to summon up my inner Hyacinth Bucket (Bouquet!) 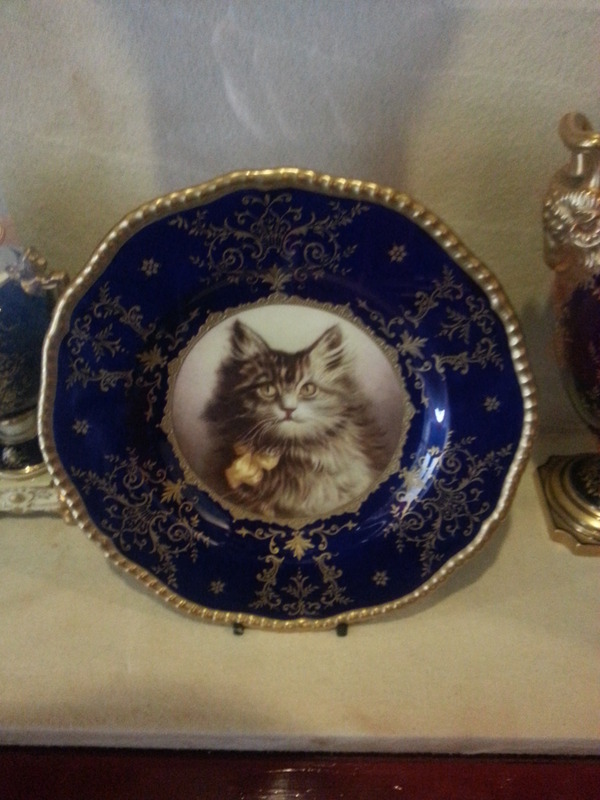 and stock up on some Royal Doulton, but we’d probably spent enough money for the day, and we still had a long drive home ahead of us. 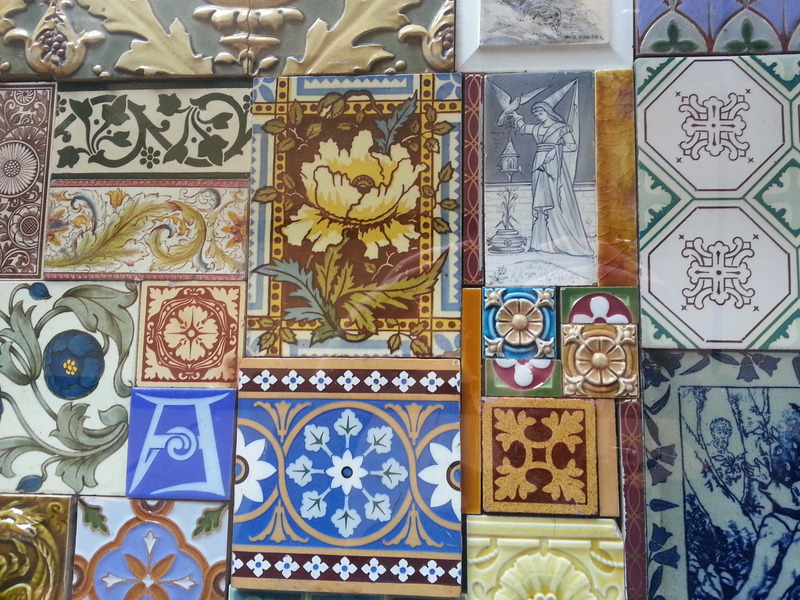 More Tile Museum. It was seriously great. 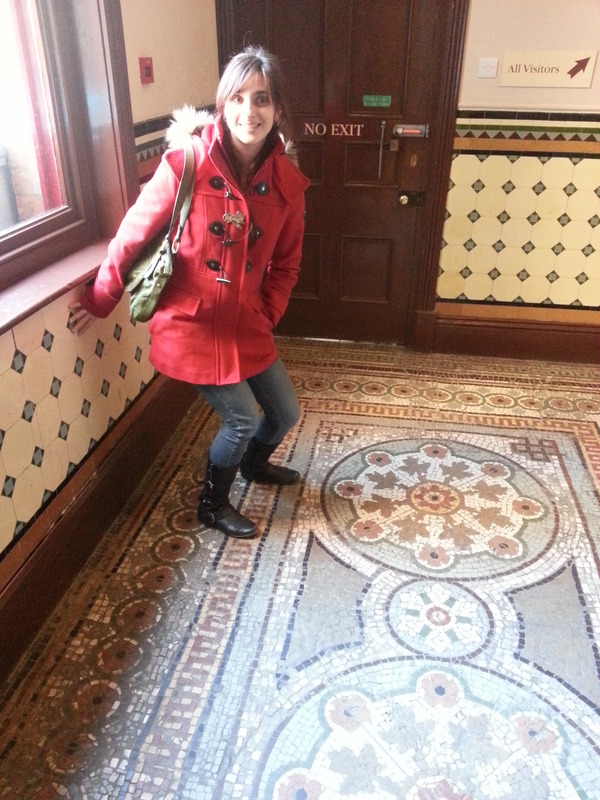 Overall, I really enjoyed both museums, but the Tile Museum more so, because it was something we were both interested in, and the museum had that wonderful, dusty, Victorian vibe that I think I’ve pretty well established I adore. But the China Museum was good as well, especially considering that admission to all of these museums was included on that same Ironbridge ticket, so they didn’t have to make them as extensive as they were, but they still put in the extra effort, which I appreciate. 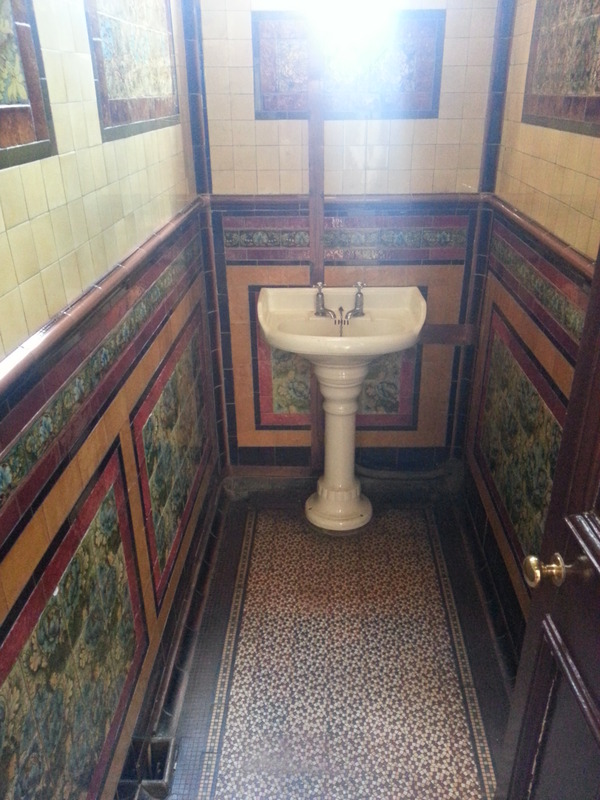 The Jackfield Tile Museum gets a firm 4/5, and the Coalport China Museum a 3/5. As I stated in my last post, my overall score for the Ironbridge Gorge Museums is a 4/5, and I highly recommend them for a solid day (or two) out. I’m keen to return before my pass expires to visit the places that we missed, especially the Broseley Pipeworks! 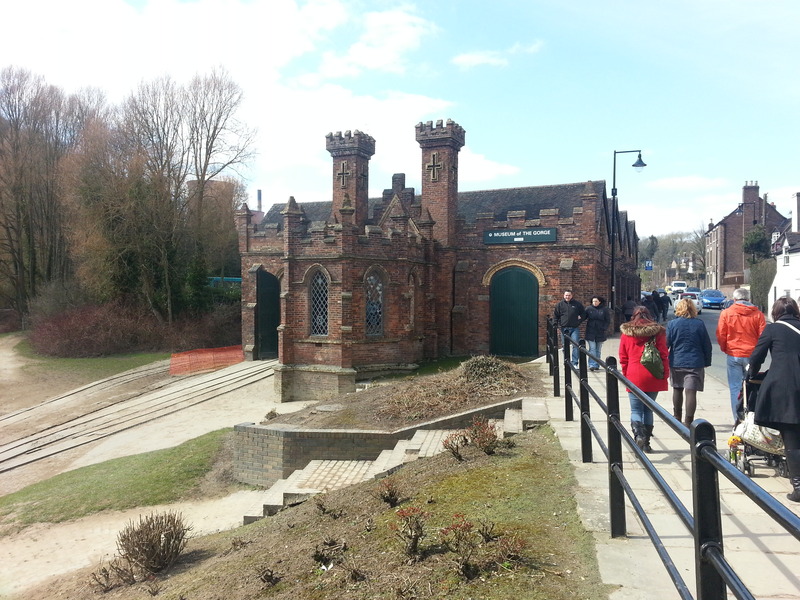 As promised, this post will focus on the Ironbridge Gorge museums. 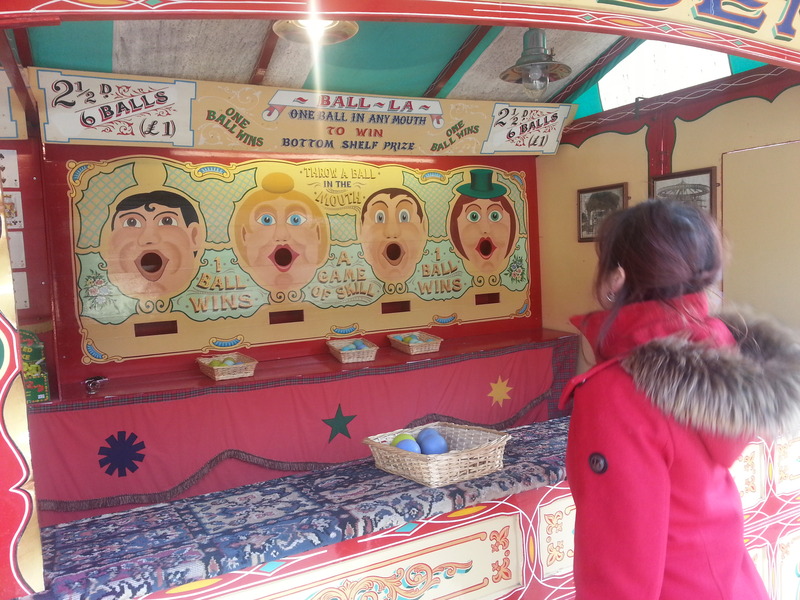 We only had time to visit half of Ironbridge‘s ten separate attractions, but they still provided a lot of material to write about, so I’ll split the visit into a couple posts for the sake of readability. 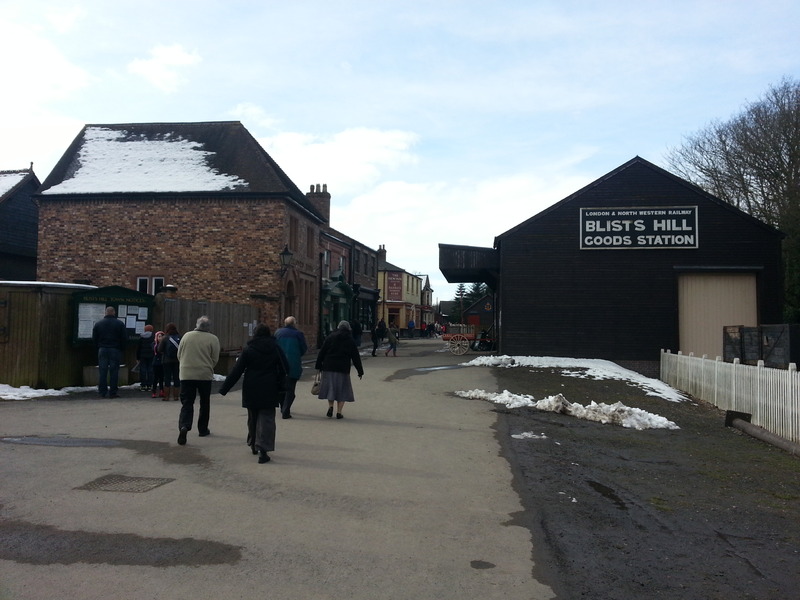 First up, Blists Hill Victorian Town. 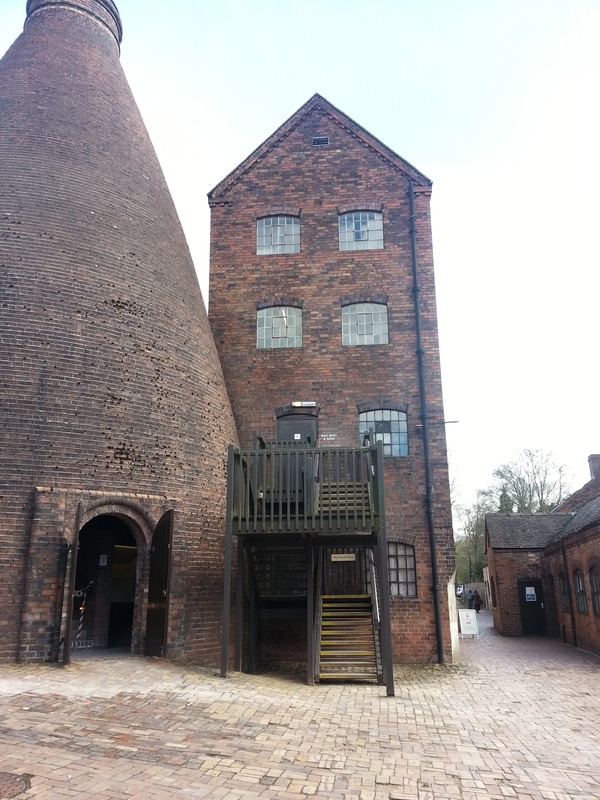 After paying admission (£24 for an year-long pass to all ten attractions, which seems a little high, but when you consider that the inferior Black Country Museum wanted £15.50 for one museum that was half the size of Blists Hill alone, it really doesn’t seem so bad. 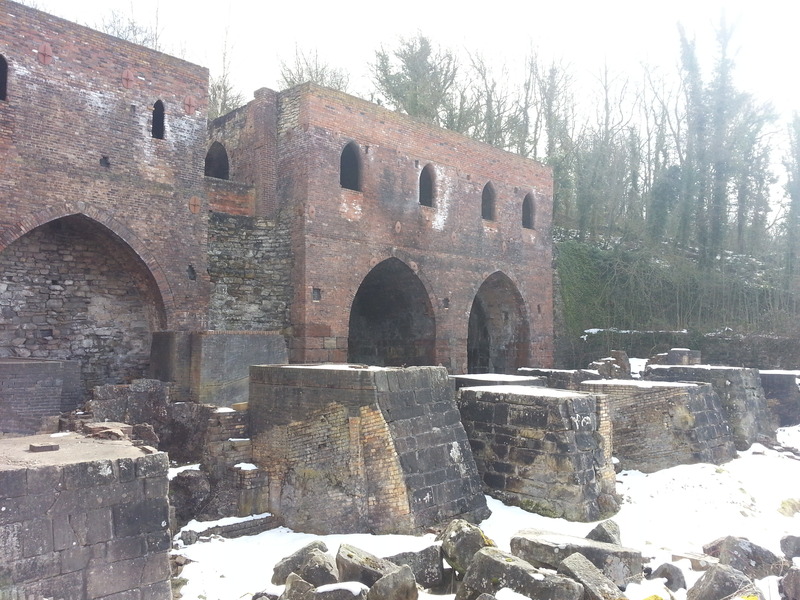 ), you pass through a nifty passageway that consists of large projections of men working in blast furnaces, followed by a dark hallway lined with portraits of Blists Hill townspeople, and emerge blinking into the bright light of 1900. We were immediately greeted by some of the townspeople as they passed, who doffed their hats at us, which I thought was a nice touch. They recommend you first pop into the bank to exchange your money for shillings, sixpence, ha’pennies – the whole lot, for use in the town. It’s not obligatory, but obviously I was not going to pass up a chance to use fun old timey currency. Don’t worry, it’s not an Itchy and Scratchyland deal (“No I&S Money!”), and you can trade in whatever you have left when you leave. The banker regaled us with a story about the symbolism of Nike to Queen Victoria, and I was instantly charmed. Score one for Blists Hill. Blists Hill is probably most famous (amongst nerds like me), as being home to the pharmacy from Victorian Pharmacy, which I was eager to see. (Side note, I once met Nick Barber, the pharmacist from Victorian Pharmacy, when I worked for the events department of a university. We were hosting a conference for the British Pharmaceutical Society, and he was sitting near me during a lecture, and smiled at me when he caught me looking at him. He seemed nice. Aside from possibly seeing the guy who plays Moriarty in Sherlock walking past me once, and definitely seeing Antonio Carluccio going into an Italian restaurant which was not his own, it’s my main brush with celebrity, so I thought I’d mention it.) 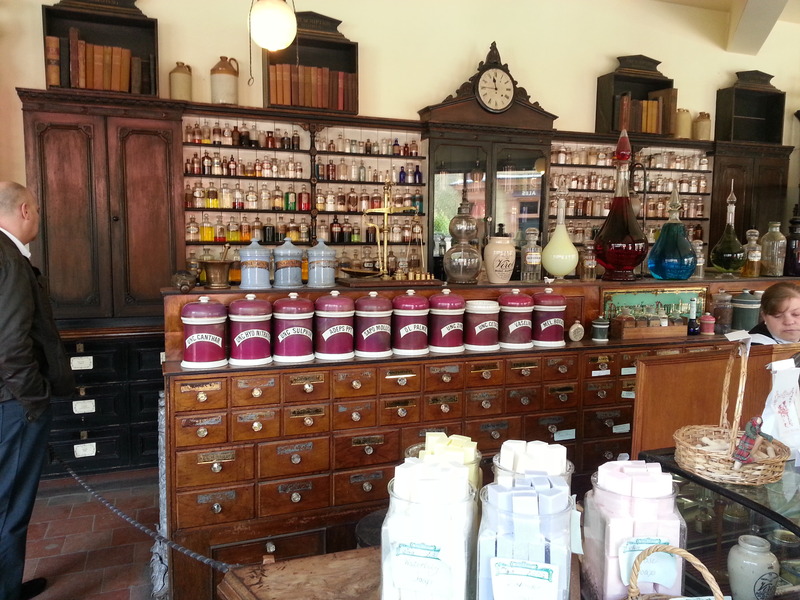 Anyway, the pharmacy was pretty great, it had loads of apothecary jars, which I want to start a collection of if I ever get some disposable income, and other cool medical devices. 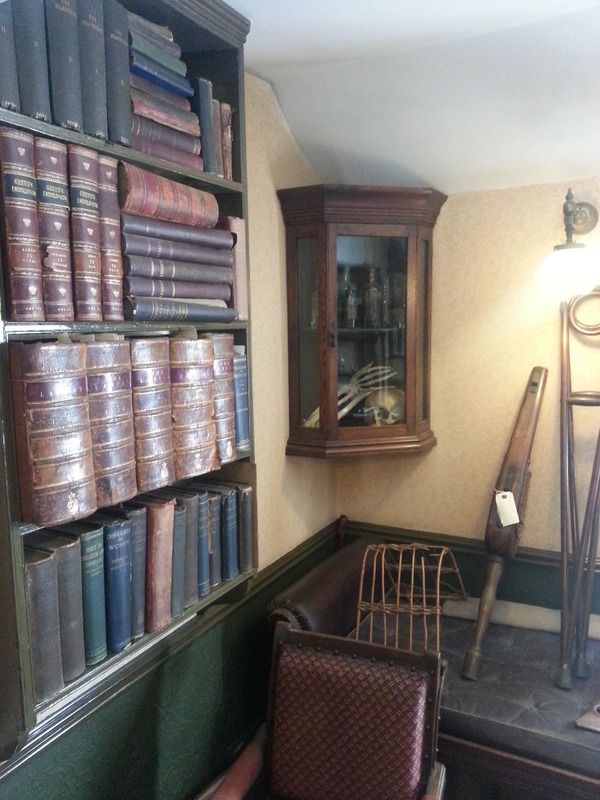 The cool thing about Blists Hill (or annoying thing, depending on your perspective), is that almost everything inside their shops is for sale. So the pharmacy had herbal remedies, and almost everything in the clothing shop above was for sale as well, including some excellent straw boaters. 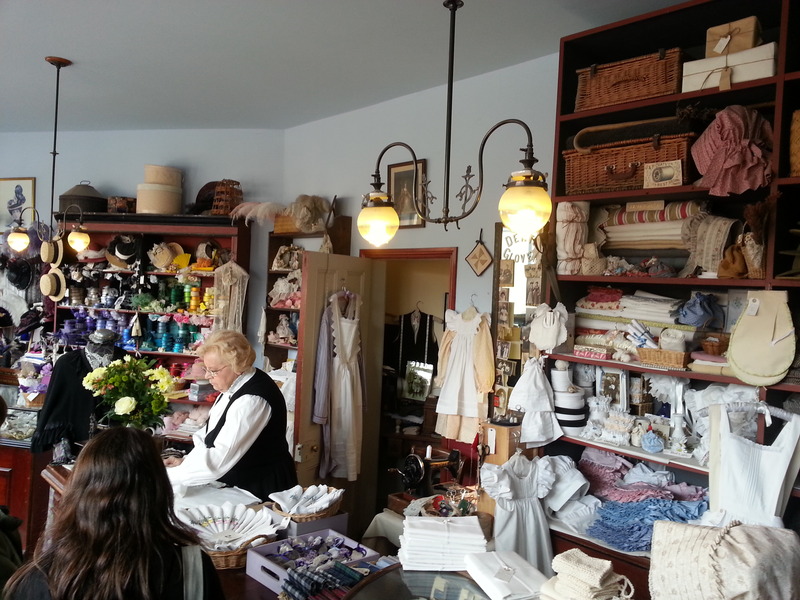 They do it in a fairly classy, old-fashioned way, so you don’t feel like the whole thing is a tourist trap, though I could imagine it would get to be a bit much if you were there with demanding children. Unlike the Black Country Museum, they had a wide range of attractions for people of all ages, so there were activities that were probably aimed at, but not limited to children, like candle-making and printing, and plenty for adults to do as well, like browsing the many shops, and popping into historic homes and chatting with the actors (who weren’t required to stay in character as far as I could tell, so you could have a normal conversation with them if you wanted to. Although probably not the policeman, as he was REALLY into his role.). We spent the day wandering through the town, playing carnival games at the fairground, visiting all the shops and houses, and even having a Victorian photograph taken in the photography studio, which meant dressing up in fun outfits (you do have to pay extra for this though). Actually, the photography studio seemed to book up really fast, so if you do want a photo, my tip would be to head in there when you first arrive to schedule an appointment for later in the day. Naturally, we also partook of the chips still wrapped in newspaper from ye olde chippy, and freshly baked bread at the bakery. I am a raisin hater, but I have to say, we had some of their hot cross buns whilst they were still warm, and even though they were pretty fruity, they were surprisingly crusty and delicious. Also, the oat crunchies were amazing and buttery, highly recommended. Plus, they had Fentiman’s Curiosity Cola, which I love, so I was well satiated, and didn’t go into my usual hunger-induced afternoon crankiness (which I’m sure my boyfriend was pleased about). Other attractions there included the predicable Victorian schoolroom, wherein you get berated for your stupidity by the professor, an inclined railway, which unfortunately wasn’t running on the day we visited, and a train ride through the mines, with sound and light effects, which sounded amazing, but I was still a little freaked out from the sudden loud noises of the Black Country Mine, so I chickened out. I’m quite sure it isn’t actually scary at all though. To our surprise, there was even an actual working pub in the town, so you can even enjoy a beer, should all the history become a bit much. I’m afraid I’m rambling on too much, but there was seriously so much stuff to see and do, and I haven’t even mentioned the adorable piglets, and other animals that were hanging around. We easily spent well over three hours there, and could have spent even longer had we gone on the train ride, or taken part in some of the other activities. Really, the only downside to Blists Hill is that you have to pay extra for most of the activities inside, other than just wandering around and going into buildings (e.g. train ride, candle-dipping, food, etc. ), so it can get pricy fairly quickly. We spent around £22, which included a £15 photo, a carnival game, and the aforementioned food, so it’s not too extortionate, and it’s not somewhere we’re going to be visiting frequently, as it’s a long drive (by British standards), so we didn’t mind spending extra to get the most out of the day, but it’s something to keep in mind if you want something to do on a budget. Personally, I enjoyed everything we did there, and I thought it was a great day out, so I don’t regret the added expense. 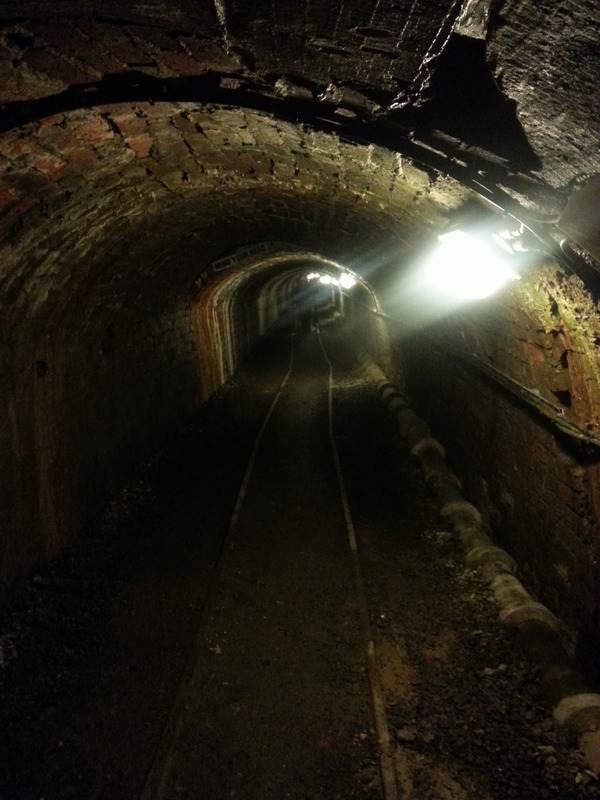 Moving on…we also visited the Museum of the Gorge, and the Tar Tunnel that day, which I’ll discuss briefly. 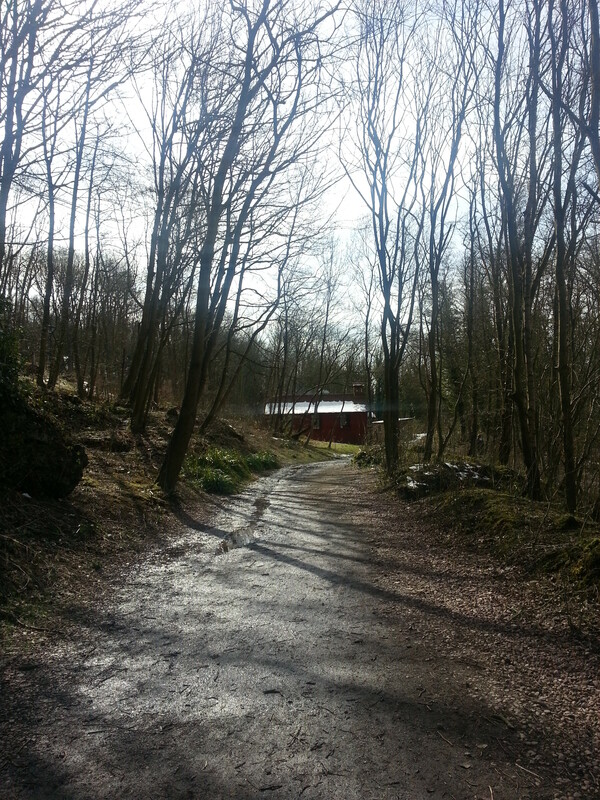 The various attractions at Ironbridge Gorge are spread out over six miles, so it’s useful if you have a car, though I did hear a bus route mentioned. We drove a few miles down the road from Blists Hill to see the Museum of the Gorge, and the actual bridge. The Museum of the Gorge wasn’t anything special, I’m sorry to say. 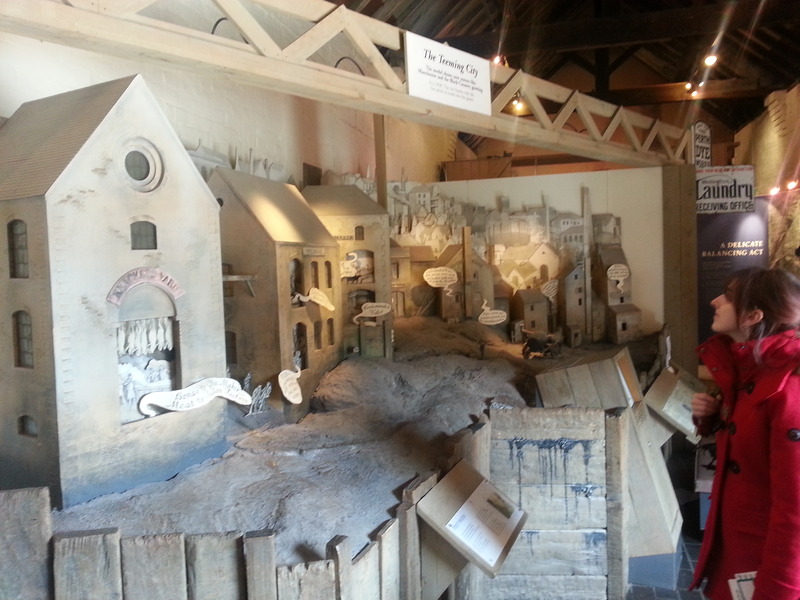 The main exhibits were a diorama of the bridge and surrounding area, that filled up a hallway, a few displays on river ecology, and a video about the gorge and its status as a World Heritage site. It was included in the ticket price, along with everything else, so I didn’t mind that it wasn’t that great, but if you’re pressed for time, I’d skip it and check out some of the other museums instead (especially the Tile Museum, which I’ll write about in my next post). You can walk over the bridge if you’re so inclined, and the village they’re housed in was picturesque, if touristy, so that’s something it had going for it. If the temperature had been above freezing, I would have contemplated an ice cream from the village ice cream parlour. The Tar Tunnel was exactly what the name implies: a tunnel filled with tar pits. You wait for a hard hat, and then walk the length of the cramped tunnel, and gaze into the tar pits and touch the tar running down the walls. It took about five minutes to see it, but it is next door to the China Museum, so if you like tunnels and you have a few minutes to kill, you might as well just go check it out. I certainly wouldn’t go out of my way for it though. 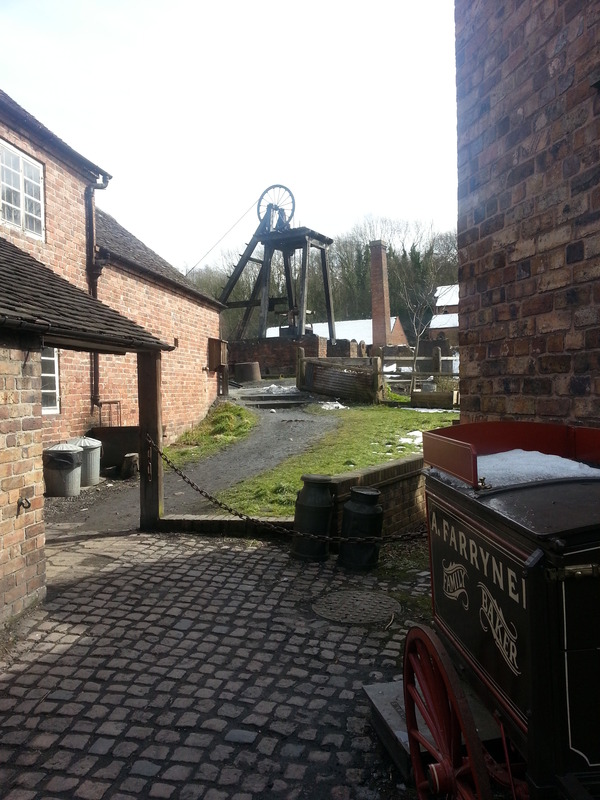 Blists Hill is a definite 5/5. Living history museums are not always my thing, because I feel awkward trying to interact with people who are in character, but they do the concept very well, and I loved it. I’m even thinking of going back for a special 1940’s event in a few months (if I can convince my boyfriend to drive there again…). The Museum of the Gorge and Tar Tunnel only deserve a 1/5, but my overall score of Ironbridge Gorge is still a 4/5 because of the quality of the other attractions we visited, of which there will be more in the next post.